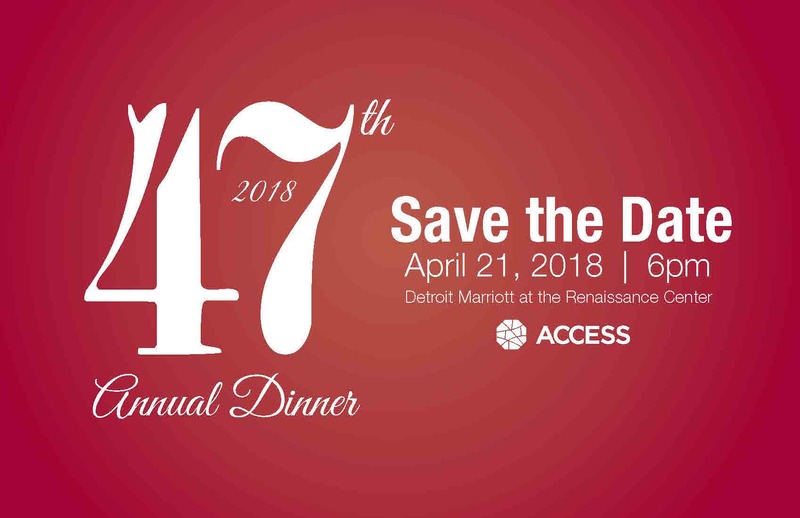 We are excited to announce that our Annual Dinner, ACCESS’ signature event, will take place on April 21, 2018. This year, we celebrate 47 years of serving our communities. Our Annual Dinner is a prestigious fundraiser, and the largest event of its kind in the United States. It attracts approximately 2,000 guests -- including local, state and national officials. Join us as we highlight the inspiring stories of those we serve and celebrate the wonderful individuals who impact others through their service, each and every day. Our Annual Dinner features the brilliant contributions of Arab Americans and includes a unique program for attendees. Information regarding our prestigious Arab American of the Year awardees and dynamic entertainment will be coming soon! Stay tuned for ticket information. Don’t miss out on this exciting event!